Dundee shoppers will be offered some light relief this weekend. 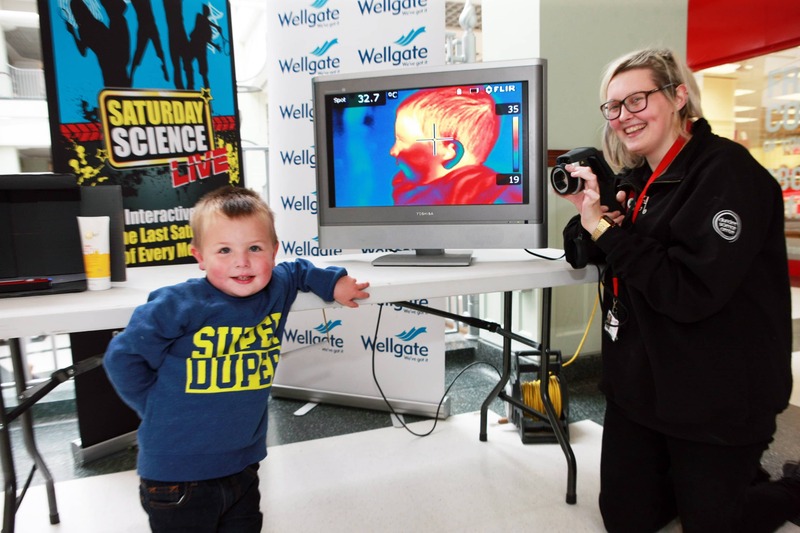 In partnership with Dundee Science Centre, the free ‘Saturday Science LIVE’ event, aimed at both adults and children, will celebrate the International Year of Light, taking place on Level 2 of the Wellgate (near BHS) between 1-4pm on Saturday 26 September 2015. Visitors of all ages will have the chance to explore light in its many forms. There will be experiments to demonstrate how light travels, and a challenge to direct a laser through a maze. Families can also ‘eye up’ what can go wrong with vision, and learn how eyes see light. The event will also investigate different kinds of light that we cannot always see, with an infrared camera to find out how warm we are and a chance to make some handprints that glow under ultraviolet light!